In a year marked by low realisations for most agricultural commodities — be it cotton, groundnut, potato or tobacco — and also seen to have cost rural votes for the ruling Bharatiya Janata Party in the recent Gujarat assembly elections, jeera has been an exception. Its prices at Unjha — the APMC (agriculture produce market committee) mandi in Mehsana district, which sets the benchmark for this seed spice in other wholesale markets both within and outside Gujarat — crossed the Rs 20,000 per quintal barrier on November 24. By December 13, they had reached Rs 21,000 and have since hovered at those levels. Last year, at this time, jeera was being sold for Rs 18,000 per quintal, while ruling just over Rs 15,000 the year before. 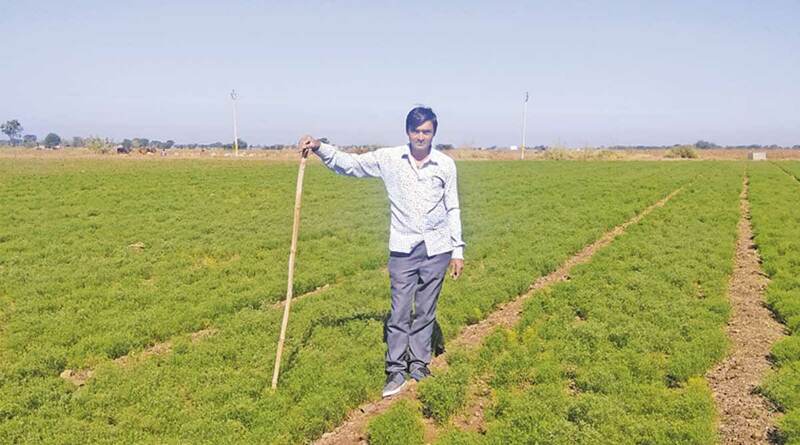 “If the weather is favourable, I can harvest an average of two quintals per bigha. Last year, there was extreme winter and dew, which resulted in my entire three bigha yielding just five quintals,” notes Patel. Mustard, by contrast, is hardier. “But I cannot earn more than Rs 10,000 per bigha from mustard, whereas jeera can give twice or thrice that return. Small farmers like me have to, therefore, take the risk. If the current prices hold, the gamble should definitely pay off,” adds the 30-year-old, who has studied till Class XII.